At the end of November 17, Johannes Ulander presented at the PhUSE single day event in Beerse. His presentation, ‘Towards Better Data’ considered linked data and graph data bases and the impact this has on the quality of the data. One of the key drivers for A3 Informatics is to improve data quality and to make using data standards as straight forward as possible. Johannes started by considering the way we currently collect and view data in tabular form. This presents the data to us as two-dimensional structure in rows and columns. This is the legacy view of data to make it human readable and comes from data being collected and stored in relational databases and excel spreadsheets. Representing the data in tabular form works well, as long as we know the questions we want to ask, or how we want to query the data. However, what happens when the questions change or we want to add another layer of data? The underlying model then has to change and, if you are working with a large team, how do you manage those changes and maintain a clear understanding of those changes? This is perhaps what the industry is now faced with when using the SDTM model. As we add more variations to SDTM, so the standard starts to become muddled and the data is becoming lost behind the model. It is complicated further by the regulators receiving different ‘flavours of SDTM’ and consequently placing their own rules on the model creating conflicting standards. Unfortunately, the SDTM model is now struggling to keep pace with the industry it is designed to serve. Mapping and inconsistencies in data are still an issue. What has changed in a new version? 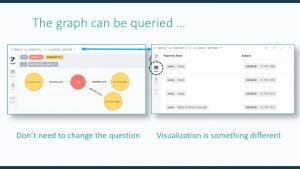 Of course, this leads into considering linked data and graph databases, something both Johannes and Dave Iberson-Hurst have been discussing with the industry for many years. 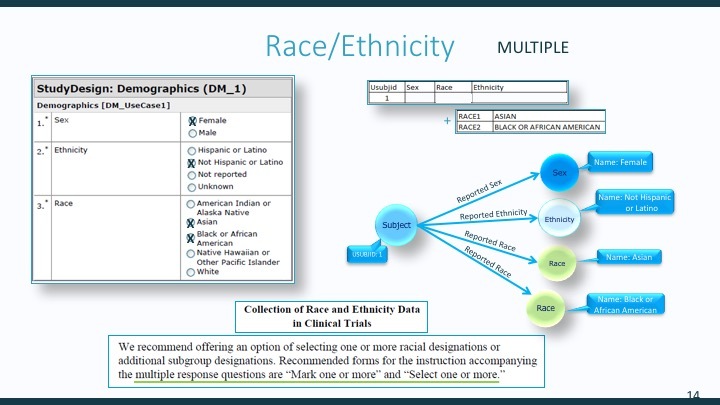 In his presentation, Johannes uses the example of the demographics domain and the collection of race and ethnicity. The SDTM model breaks down when you are starting to collect more than one race for one subject. It can of course be handled in the tabular structure but the model needs to be amended and variability is introduced and different sponsors may handle that variability in different ways. As such, the model then breaks down. 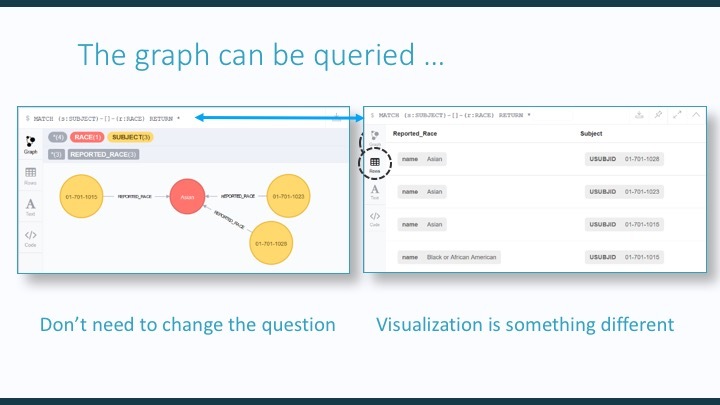 Graph databases on the other hand have many advantages for the end user. 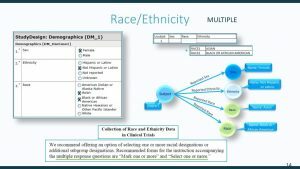 If we return to the issue of race, there is no need to adjust your query on the data as the database has already created the relationships for a subject who has two race entries. The query then just needs to be visualised for the user. 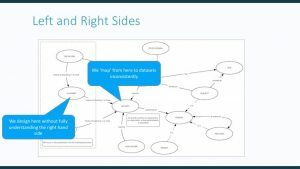 The presentation goes on to discuss the direct impact on using tools which are built on linked data and you can download the slides here. 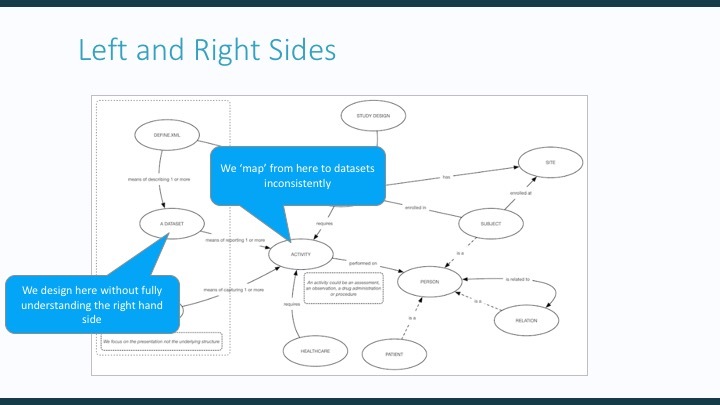 [PDF OF SLIDES] At A3 Informatics, our team have built an MDR that is designed using graph databases and linked data. These foundations are the key to our tool development for both Glandon Study Build and Glandon Define.xml. If you want to gain control your CDISC standards and not have issues with version management, thereby future proofing your clinical research, please talk to us about how we can help you. You can download Johannes’ complete presentation here. I.m.o. the whole SDTM model is broke. I regard it as a “view” on a database but the database itself is hidden. We see that more and more derived variables and data redundancy is introduced (for “ease of review”), making the model inconsistent and vulnerable to bad data quality. New domains are being added with new variables that are only applicable to that single domain, so endangering the “generality” of the model. Sticking to SAS-XPT and the constant refusal to enable working with coding systems used in healthcare such as LOINC and SNOMED-CT and refusal to allow UCUM notation for units doesn’t make it better. We need to go back to the drawing board and rethink everything. Just like HL7 recognized that CDA has no future and started actively supporting the development of FHIR, CDISC needs to take a similar step and formally support the “linked data” and “biomedical concepts” inititatives and make clear to the FDA that SDTM WILL be replaced within the next years.